British philharmonic orchestra based in London. The New Philharmonia Orchestra came into being in March 1964, when Walter Legge decided that the Philharmonia Orchestra was to be disbanded. 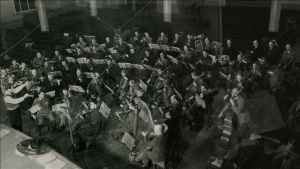 The musicians decided that they would not be disbanded and formed the New Philharmonia Orchestra. They regained the Philharmonia name in 1977.